Why should you pay out a lot of money just to write? You can find so many free writing apps now such as grammar checking apps, word processors, mind maps, index cards and productivity writing tools to let you get on with what you do best. Writing. Yes, there are free and premium versions offered for many writing tools that will help you improve your writing. But to find the best apps and software that work for you and your writing process, using a free version is always the best way to get started. In fact, there are many fantastic apps that are fully featured, unrestricted and totally free to use. Whether you are an author, a blogger or content writer, selecting the best tools for you will save you time, effort and money. To help you decide, here are 40 of the very best productivity tools, writing apps, blog tools and writing software you can find. All of them are either totally free or have a perfectly functional free version. Each of them will offer something extra to help you when you are writing your blog posts, content articles, essays or even your new novel. Scan through the list to see if you can find a few new favourite apps that will help you write more productively every single day. But wait, there are a lot more free choices for authors! Without a doubt, Grammarly is the number one online grammar checker. I have used Grammarly for a very long time now and it is one of the writing tools that I use every single day, and all day long. This is because it works with so many platforms, software and applications, so it is always on and always helping. While Grammarly has its own desktop app and iOS Grammarly Keyboard app, it also works with MS Office, in a web browser, WordPress and even on social media sites. It also works on mobile devices. No matter what, when or where you are writing, Grammarly is always helping you write better and more accurately. The free version of Grammarly works extremely well, but for more advanced features there is a premium version available. Prowritingaid is an online grammar and writing checker that has so many checks and reports, you won’t know where to start. It is an ideal writing aid for authors and writers of long-form articles. The analysis tools and reports dig deep and offer you a huge range of suggestions to improve your writing. There are extensions available for Chrome, Word and Google Docs. You can use the free version of ProWritingAid, which offers you a lot of functionality. However, authors, in particular, might consider the modestly priced premium version. It is my number one go-to editing tool when I need to work intensively on very long documents such as long-form articles or manuscripts. Ginger is another very popular free grammar checker. There is a free Chrome extension and it works in a similar manner to most of the other popular online checkers. It shines particularly in finding correctly spelled (or spelt) words in the wrong context. There is also a sentence rephraser and vocabulary enhancement tools. While not a free writing tool, I have to include Scrivener in this list. It is considered to be one of the best book writing tools for authors and screenwriters. There is a 30 day free trial period offered by Scrivener. But it is counted by days that you use the software. So if you use it every second day, your trial period will last you for 60 days. Scrivener is available for download for both Windows and Mac. There are also iOS apps for iPhone and iPad. To access your free trial of this writing software, scroll down to the bottom of the product page. In the footer, you will see the Download link on the left. These two writing programs are already under your noses because they are installed by default on Windows and Apple computers. However, they are both worth a mention because of their usefulness in converting to plain text. Most word processors can add a lot of background code over the time you take to write a long document. Cut and pasting, saving, deletions, forgotten tabs and spaces and formatting changes or inconsistencies all up add to a lot that can go wrong. Because of all this code, there is the chance that the text might have issues when used online, or especially in ebooks. The quickest and easiest way to clean a document, big or small, or huge, is to copy all the text into a basic text editor such as Notepad or TextEdit and then convert everything to plain text. Then you can copy back the clean text into your word processor for final formatting. I have a love-hate relationship with the Hemmingway Editor app. The love is due to how quick and easy it is to check my readability score and grade. The negative is that it always tells me to simplify my writing. It hates the passive voice. Ggrrr. But with that said, it is one of the handiest tools and grammar checker a writer can have at their fingertips. You can choose which Hemingway mode to use – either write or edit. The free online version is very convenient for checking up to a page or so of text. It gives helpful hints to improve your writing. It’s free and one of the must-have grammar apps for writers. Do you need a cure for writer’s block? I adore this free blog topic generator app. Portent is an easy and clever way to find new writing ideas. Even though it is an app primarily designed for bloggers to find headlines and titles, and not a genuine headline analyzer, writers can use it to discover new ideas for any piece of writing. All you have to do is input your base word or words and then you can select a working title for a new writing prompt. Now, this might not really belong in a list of writing programs. But it is a fantastic free tool for promoting your writing. Canva is a free online tool for creating images. Because using Internet images you find on Google images are very often copyright protected, it is a much better idea to create your own unique images. You can use Canva to make images for social media promotion, images for your blog posts, Facebook headers and even for quick and dirty ebook covers. While there is a paid option, the free version offers more than enough free images, graphics, icons, shapes and backgrounds for almost any image creation project. It’s so useful, I sometimes feel a bit guilty, because I use this app almost every day. OneLook lets you describe a concept and get back a list of words and phrases related to that concept. Your description can be anything at all: a single word, a few words, or even a whole sentence. Type in your description and hit Enter to see all the related words. This little writing app is a thesaurus on steroids. Evernote is a favourite application for lots of writers. It is one of the most popular note-taking apps but it is much more. Never let an idea escape when you are not at your keyboard. You can organise your ideas, create checklists and to-do lists. There is also a handy web clipper that lets you save parts of web pages to help you with your writing research. The free version comes with more than enough storage memory to suit most writers. Word is very well-known as the word processing component of Microsoft Office. While it is the default writing tool for many writers, bloggers and authors, it is certainly not cheap. Depending on your country, the annual licence for Office 356 can range from $60 – $100. If you want to buy the one-time purchase version, which is called Office Home & Student, it can cost you as much as $150. Microsft Office is as its name implies, is writing software for office use. So it includes Outlook, Excel and Powerpoint and other programs, which are not associated with or used for writing. Do you really need to pay for all these extra programs to write an article, short story or even a novel? No. If you just want to write, you’ll almost always find free writing software and alternative tools for writers that are more suitable for your writing goals and for any form of creative writing. 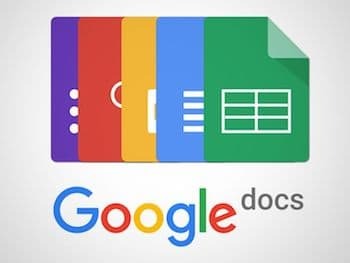 Like Microsoft Office, Google Docs is a suite of office tools. The big difference is, of course, is that Google Docs is available for free online. If you are familiar with Word, you will have no problem at all adapting to Docs, which is the word processor component. All the formatting options are very similar, as is the user interface. Unlike some free word processors, Docs does have a word count, so you can keep track of your word count goal. I know that many writers, particularly content writers use Google Docs because of the simplicity of sharing documents online. Writing projects can be quickly and easily shared using Google Drive, which comes with 5 gigabytes for free. This is normally plenty of storage space for writers. If you are writing every day and working with other writers, content editors, proofreaders or editors, Google Docs allows you to collaborate with ease. There is no need to know what file format or program others are using. As long as each person has a Google account, and who doesn’t, working together is very easy. Further reading: Learn how you can use Google Docs when you are offline. If all you need is a word processor, Apple Pages can handle everything you could possibly need to do. Like Word, you can start with a blank document or use the template chooser. The word processing in page layout document view is easy to work with, and all the text formatting, fonts and writing tools are easy to find and use. There is a spell checker, word count and track change with an add comments option. It also autosaves saves directly to your hard drive, or to your iCloud drive when you are online. With the duplicate function, you have very easy version control of your revisions and edits. In fact, it is difficult to think of a common feature or function in Word that is not available in Pages documents. There is one other area where Pages really shines. It has a lot more control over images compared to Word. One other big plus with Pages for authors is that you can export directly to epub without the need to convert your file formats in another program. 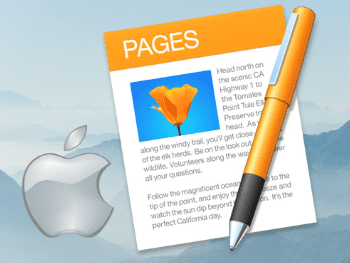 Pages is a terrific free writing software option for all Mac, iPad and iPhone users. 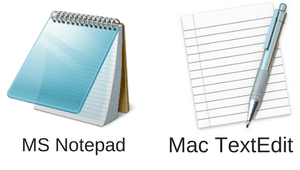 Related reading: Is Apple Pages A Good Replacement For Microsoft Word For Mac? I used Open Office for many years. It is an open source project and is still available. However, Libre Office is now favoured by many writers. In fact, these two free office suites branched from the same development stable, so they have a lot of similarities. Learning to work with Writer, which is the word processor, is easy. However, it uses simple and traditional menus, toolbars and icons, but does not have the ribbon function found in Word. In some ways, this is a good thing because it lets you get on with the writing process instead of hunting in ribbons for buttons. 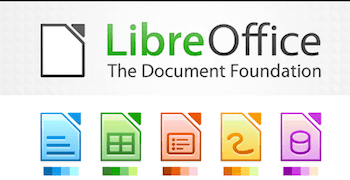 If you want a word processor, and that’s all, Writer in Libre Office won’t disappoint you. If you want simplicity, AbiWord is well worth trying. It has been around for a long time now, and while it might look a little outdated, its functionality is definitely not. 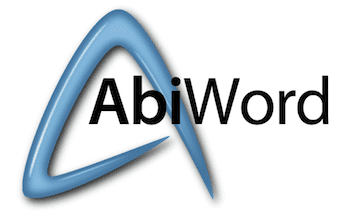 The best way to describe AbiWord is uncluttered. This is ideal if you are looking to write distraction free. It has all the basic tools such as spelling and grammar checking, auto-saving and works with most common file types including docx. Abiword is definitely not fancy, but it’s free and it works. It’s ideal for writing blog posts or article content. However, due to its print limitations that require an external program to see a print preview, it might not be the best alternative to write your book. 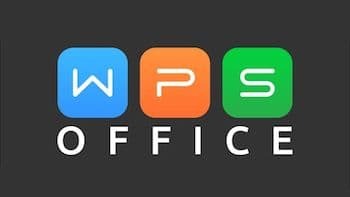 If you have used Word, then you can work with WPS Office immediately. Similar to other alternative word processors it has all the standard features you would expect and works with most file types. One of its key features is that it allows drag and drop paragraphs, which can at times be practical. Another simple yet time-saving feature of WPS is tabbed documents. While Excel has had this for years, Word never has, so working on two documents at the same time is much more efficient in WPS. WPS also has a cloud storage service with 1G free space for PC and iOS. Free Office gets a mention because it can export epub. This is a very handy tool for self-publishers. Although TextMaker is the free word processor in this office suite, it doesn’t come with the ability to save in docx format unless you opt for the premium version. But you can open and edit docx files. Apart from that inconvenience, it has all the advanced features you would expect in a modern word processor. It comes with advanced formatting options, the ability to create databases for bibliographies and footnotes, as well as track change. If you want a web app for clean no fuss writing, iA Writer might be just what you are looking for. Forget fancy keyboard shortcuts and menus. Just write. The NYT says it creates a clean, simple and distraction-free writing environment for when you really need to focus on your words. It’s delightful to use. For long-form writing, it is one of the best free word processors and will suit any writing style. It is available for Windows, Mac, and apps for Android and iOS. FocusWriter is a simple, distraction free writing environment. It uses a full screen hide-away interface that you access by moving your mouse to the edges of the screen. It allows the program to have a familiar look and feel to it while still getting out of the way so that you can immerse yourself in your work. It’s available for Linux, Windows, and Mac OS X. Calmly Writer has been designed to help you focus on writing. As you start typing, all the distracting options disappear from the interface. Calmly also includes “focus mode” option, which highlights only the paragraph you are editing at the time. It is a browser-based app and there is a Chrome extension available. Zoho Writer is a free online alternative to Microsoft Word. You can sync between your PC or Mac, iPhone, Android or iPad. Almost everything you do in Word, you can do with this word processor. There are even collaboration tools. You can import your existing Word documents and get to work. There is also a plugin to link your Zoho documents to Word. Not a bad deal for at all a free online writing tool. Scibus is an open source program for desktop publishing. It gets a mention here because it is free, but also because it is such a feature-rich cross-platform program. Scribus is a page layout and desktop publishing program for Linux, FreeBSD, PC-BSD, NetBSD, OpenBSD, Solaris, OpenIndiana, Debian GNU/Hurd, Mac OS X, OS/2 Warp 4, eComStation, Haiku and Windows. Scribus supports professional publishing features, such as CMYK colours, spot colours, ICC colour management and versatile PDF creation. Perhaps it is not a choice for most authors and bloggers, but you might have a desktop publishing need one day. Semrush is a premium pro SEO suite of tools for serious bloggers. The subscription price is often too steep for many new bloggers. But did you know that you can use Semrush for free? To start your free level subscription, just enter a query such as a domain or a keyword in the SEMrush search bar and you will automatically be prompted to register for your free account. You can then perform 10 searches a day from the Domain Analytics and Keyword Analytics databases. As a free user, you can create and manage one Project and also conduct a Site Audit for 100 crawled pages. You can track 10 keywords in the Position Tracking tool. For On Page SEO Checker, you are given a total of 10 SEO Idea units. You can also create 1 list in the Keyword Magic Tool. All the tools you need to start writing high ranking keyword rich SEO content articles. If you want to get to work on improving your blog’s SEO or become a content writer, this is a great way to start on the learning curve, and all for free. 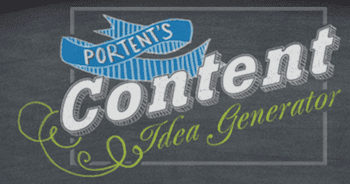 Hubspot’s blog topic generator is an old favourite for many writers. Simply enter a few nouns and it will produce a list of blog title ideas for you. How engaging is your headline? This must be one of my absolute favourite little writing apps. Once you have a blog or article title idea, run it through this app to see how effective it will be. 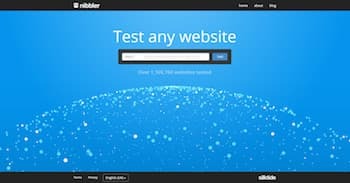 Nibbler is a free tool for testing blogs and websites. Just enter the domain address of your website and Nibbler will give you an SEO report scoring your website out of 10 for key areas. Your report will include content length, meta tags, headings, incoming links accessibility, SEO, social media and technology. It’s a great way to test the key components of your blog very quickly. Website Grader is a quick an easy app to help you improve your blog. Checking and optimizing your blog’s performance is essential if you want to increase your site traffic. You should make sure that your website is easy for users to discover and easy for search engines to understand. This is a quick app to check your page titles, headings, and meta descriptions. It only takes a few seconds to run this performance check of your blog to see if you need to make any improvements. It is a huge time and money saver for all bloggers. Just add your basic information and the app will create the full text for your privacy terms. All blogs now should have a policy page regarding privacy to ensure that your site is GDPR compliant. Trello must be one of the most popular free apps for writers. There is so much you can do to organise your writing projects, notes and to do lists. You can collaborate and assign tasks, start discussions and so much more. Trello is a beautiful as well as highly functional app. It is available for Chrome, Safari, Firefox, Internet Explorer, iOS and Android. If you are a fan of the Pomodoro technique to improve your productivity, then you will need a free timer. There are many to choose from but I like this one because it’s easy to set and to read. Nothing fancy, but effective. How long will it take to read your article? Find out with this simple free writing app and then you can add a reading time to your blog post or article. Don’t have time to go to a café to write? Well, you can bring the sounds of a Texas or Paris café to you with this cute little app. Click play and you will have all the ambient sounds you need to get your creative juices flowing. Okay, you are not going to use Fliptext often. But it is a fun little free writing tool. Yes, you can write upside down. Did you have to turn your screen or twist your neck to try to read it? Wordcounter ranks the most frequently used words in your text. You can use this browser app to see what words you are repeating too often and then make changes. All you need to do is paste your text in the box, and this little app will go to work and list all your repetitions. Quetext is a free online plagiarism checker. Many paid apps feature checking plagiarism as a premium option. But with this browser app, you can check your documents for free. Otter is a free dictation to text app for iOS and Android. All you need to do is hit the record button, start speaking, and watch your words appear in the app. It even adds in punctuation. There are many paid and premium dictation apps, but Otter offers a generous free option of 600 minutes a month. You can read a review of Otter in this article by PC Magazine. If you are into mind maps to develop story ideas, here is a free software download for you. Freemind is open source mind mapping software built in Java. It has a wide variety of features, including location-based mind mapping, collaboration tools, restore sessions and more. Do sometimes get into a tangle when editing different versions of a text. What did you change? Can’t remember? Well, with DiffChecker it is easy to compare two versions of a text and find the differences between them. It is a free to use browser app, but if you want to save your revisions (Diffs), you will need to create an account to log in. The Most Dangerous Writing App is a fun little writing tool with a nasty side. You start by setting yourself a writing time of say five minutes. Then you start writing. But if you stop writing for more than five seconds, you lose everything you wrote. However, if you get through your allotted time without stopping, your reward is that you can save your work. Yes, that’s seriously mean, isn’t it? It is a brutal yet brilliant idea. If you treat it like a game, it is a fun challenge and a clever way to help you overcome writer’s block. If you are self-publishing author on Amazon Kindle Direct Publishing (KDP), Kindle Create is a must-have free software app for you to use. But stability is much better now and Amazon has been slowly adding new features since it merged Createspace into KDP. Kindle Create can now format not only ebooks but paperback books as well. But this latest option is still in beta. For more details, read our full article on how to use Amazon’s Kindle Create. Kindle Previewer is another free desktop application for authors from Amazon. It lets you upload and preview how your ebooks will appear when read by Amazon Kindle customers. It makes it easy to check your books on different screen sizes and in various fonts. You can check how your book will look on a Kindle, tablet or phone. There is also an enhanced view option that will automatically scroll through your book so you can check for correct formatting. It is the best way to check your ebook formatting before you publish your ebook on Amazon. As an extra bonus, you can also convert epub files to mobi so you can read epub ebooks on your Kindle. The free program is available for both Windows and Mac users. Are you are looking for free software that is much, much better than a standard word processor for writing a book? Here are six choices for free book writing software and apps that are specifically designed for writing a novel. Read more: Six free novel writing apps and software choices. Free is sometimes not the best option, but for writers, there are plenty of free writing apps, writing software and tools as well as book writing software choices that work extremely well. There is no need to spend a lot of your money if you don’t have to. If you are ready to write your book or get started as a content writer or blogger, the writing tools listed above will be more than enough to get you off on the right foot, and all for free. All of these writing apps are user-friendly and are quick and easy to learn how to use. Make your choices based on what you need and want to achieve as a writer, and what you think you will need to succeed. Then head off to the coffee shop with your laptop, or pump up Hipster Sound at home, and start writing. Great article, I love Canva, Couldn’t run my website without it! Thanks for this. I learned some things. Great post, informative and gives me some options to consider that I didn’t know about before. Thanks. So thankful I found this site. All the info I need in one place and much simpler than what I was trying to work with. Especially great for a tech dummy like me. Good article, but you don’t mention StyleWriter – a powerful program to change the way y0u write. It shows you how to write and edit like a professional. Generally in life you get what you pay for so you should expect limitations from anything free. If you’re serious about writing then Scrivener is what you need. Yes, you have to pay for it but it costs about the same as a couple of takeaways and once you learn how to use it you’ll wonder how you lived without it. I agree about Canva, but I wouldn’t bother with anything else on the list! There is free Windows alternative for Scrivener named Quoll Writer. Of course, it has some limitations but is a lot easier to use and gives you all essential features writer or journalist needs. Chapters, characters, items, linking, tagging, annotating and more. It has Idea Board and stats and readability indexes. Text formatting is basic but hey, it’s software for writers not for editors. You can export your texts as .docx or .epub and format them with Sigil or Calibre. I’m using it for couple of years. I found this article to be informative. In search of one thing, I happily stumbled upon much more. Thanks! It was informational and I liked it very much. The only serious free option for desktop publishing right now is Scribus. It’s software, not web-based. I’ve used it a few times and it’s pretty decent. Of course, I also have QuarkXPress, which I prefer. Hope that helps! So far, I am enjoying 3 out of your 10 recommendations. Your reviews seem honest and unscripted-thank you for that. I bought Prowritingaid for the Word add-in, but found one of the most important features, the ability to customise reports, doesn’t work. Contacting the Support team led to promises of an investigation followed by nothing. A reminder led to a promise the issue would be passed to a developer who,would be in touch, then nothing. If you want it work with Word, look elsewhere or you’ll pay for a non-functional product with no support!